I have a mix of micromount and cabinet specimens. The cabinet focus is pegmatite minerals (three shelves) and one shelf each of barite, hydrothermal minerals, Pennsylvania minerals, Franklin / Sterling Hill ore minerals, Franklin / Sterling Hill accessory minerals and New Jersey trap rock minerals (primarily zeolites). 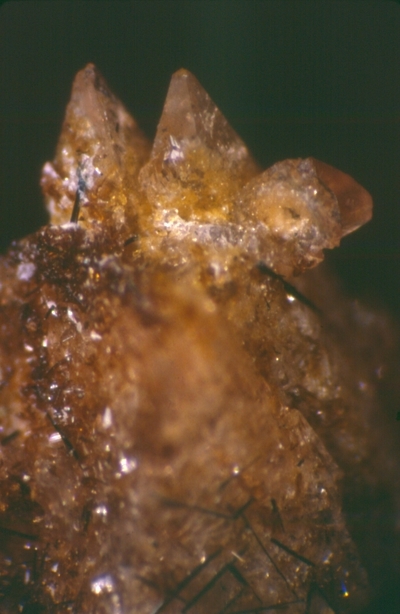 This page lists Stephen's favourite minerals, localities and photos. All lists in alphabetical order. Stephen has not added any yet. Stephen Fritz does not currently have any sponsored pages.